Just this evening, when I still sat in front of my notebook, one of the security staff knocked on the staff room’s door. He asked whether I would like to take some pictures of the evening sky. He knows that I like capturing twilight with my camera. But today is different. 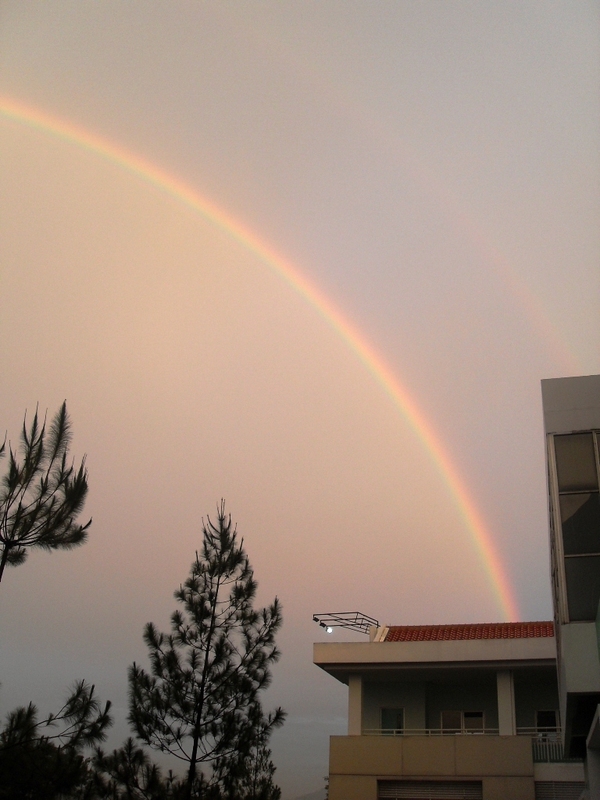 There was double rainbow crossed over the sky, just above our school roof. I was quite late knowing about the rainbow, so actually it’s on process of fading away. I took some shoots and be amazed by the beauty of the nature this evening. In the other side of the school, the twilight ‘painted’ another beauty on the sky. 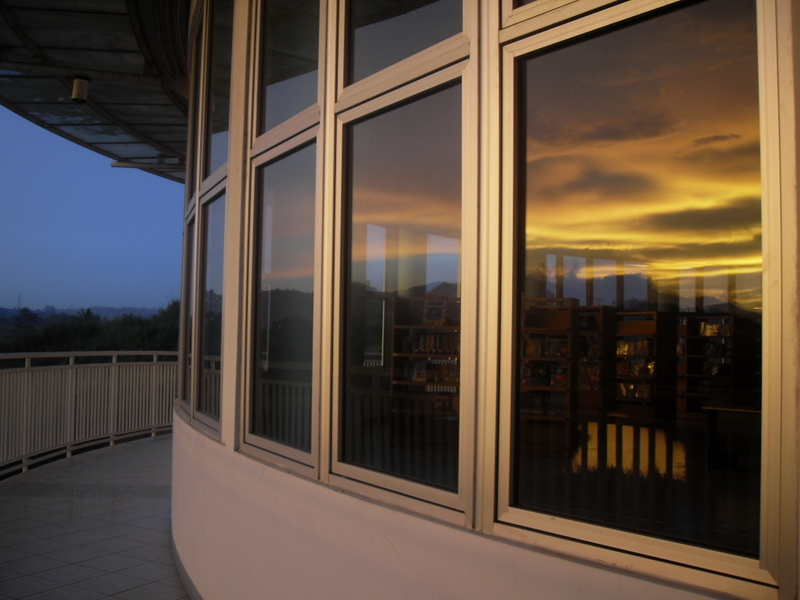 Took another shoots there, and here’s one of it, from the glass windows of our library building. This entry was posted in Diary, nature and tagged beauty, nature, school. Bookmark the permalink. nice blog & keep blogging to motivated your student. The rainbow picture is beautiful. nice pictures, sist. Unfortunately I didn’t witness it myself 😦 Imagine if you catched the rainbow with high quality camera, hmmm…..must be terrific! I take rainbow pictures every time I see them. And if I’m inside and see rain and sun, I run outside to find the rainbow. I love that picture. Did you notice there are two rainbows in it?